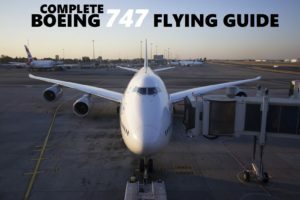 If we don’t count sitting in first class in the nose of a 747, there are many different ways to significantly enhance your traveling comfort on an airplane, while staying in the same booking class and without paying any more money (or just a bit more). All seats and sections in an airplane are not created equal when it comes to leg room, noise, vibration, view, and amenities. It can therefore make a big difference to spend a moment to pick the right seat. In this article, we will go through all the tricks to get the best seat for your upcoming flight, whether you want extra free leg room on a long haul, you enjoy taking in the sights, you’re traveling with kids, or like to be close the complimentary snack bowl in the galley! 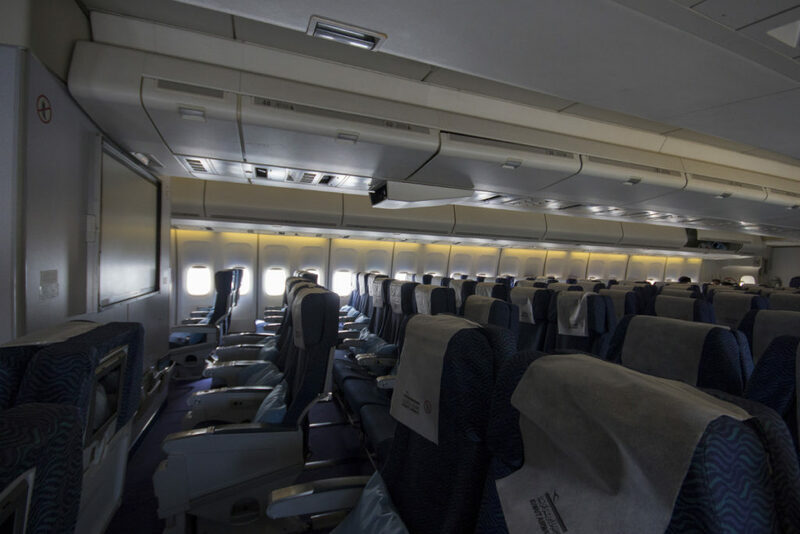 At first glance, it might seem that all the seats on airliners are just the same. The opposite is true, as every seat has different characteristics when it comes to access, legroom, view and noise, to name a few. As soon as you know booking class you will be flying, it pays off to head to a website dedicated to seat selection. There, you will find a seat map where over time, the best seats have been highlighted. 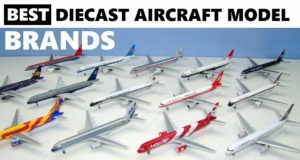 When you book a flight, in most cases you will know the airline and aircraft type scheduled on the flights. 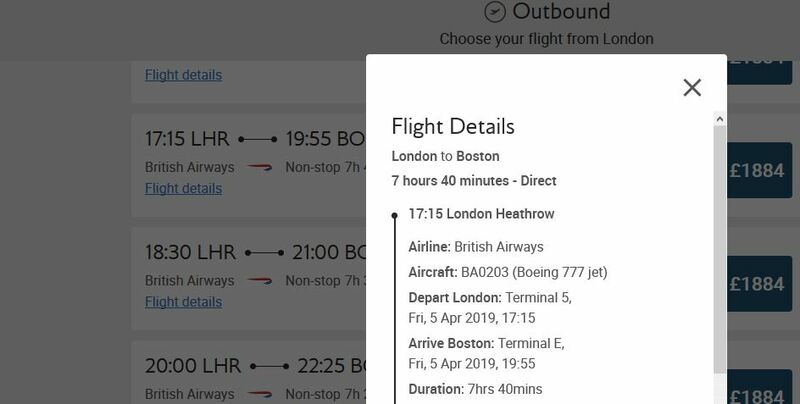 You can then use that information to select the correct airline/aircraft combination on the website and see if it will be possible to select one of the better seats for you and your travel mates. This technique has a few caveats. 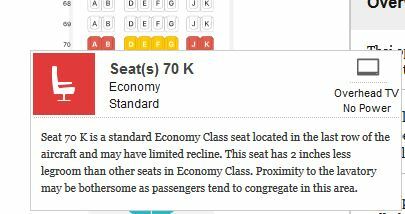 First, after booking went largely online the airlines figured out that they can monetize the differences in seat comfort within a same class, some of them started charging a premium for the seats they consider better. Beware though that not all of them always reflect the reality, and it is always preferable to check with an external seat map website for user feedback before paying an extra for a so called “seat with extra leg room”. The best seat map websites are Seatguru, SeatMaestro and Seatlink. SeatGuru (a partner of TripAdvisor) is my favourite as it has the best interface and cover most of the world’s major airline fleets. 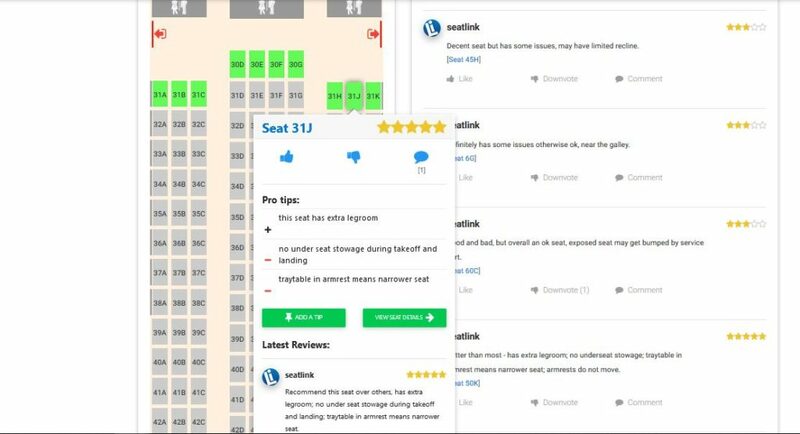 SeatLink on the other hand seems to have a good community with comments on most seats, and a more compact description of the perks and downsides of each seat. 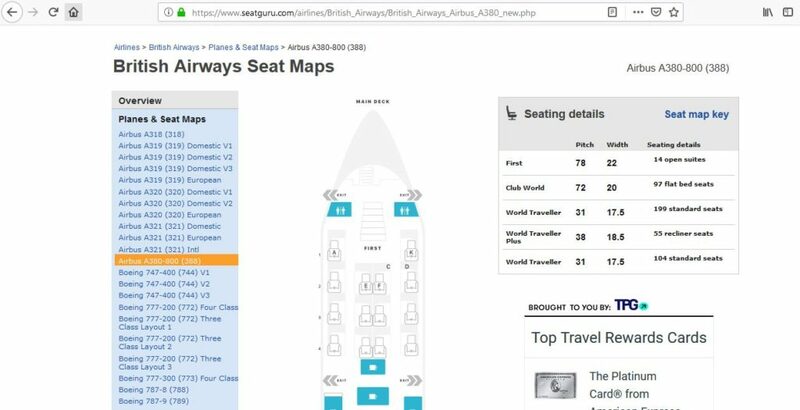 Finding a seat is pretty straight forward, the fastest way is to type “Airline Airplane Seatguru” (for example “British Airways 747 seatguru”, or “Air Canada 773e seatlink for that matter) in google, which will direct you straight to the annotated seat map of the airplane. 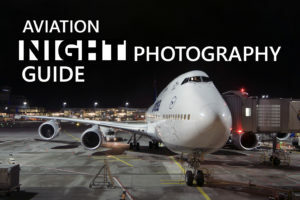 Beware that there can be various subtypes of an aircraft model, for example Lufthansa operates 2 types of Boeing 747s, the older 747-400 and newer 747-8i. 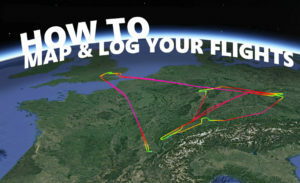 The code is often in the format of 744/748 or for an Airbus A330-200, A332 or 332. Below is an example of a seatmap, where you can see the best seats in green, the possibly good ones in yellow and the ones to avoid in red. Although there are usually no “best” seats, depending on your travel situation, here are the best spots you can aim at. Extra leg room : These are the most desirable seats in economy. The most aften located behind the bulkheads, or before a galley, and especially in exit rows. You must be willing to take the responsibility for opening the emergency exits in case of a problem, but the extra room is well worth it! Below is an example of leg room on a Ryanair 737-800 i flew on in 2018. 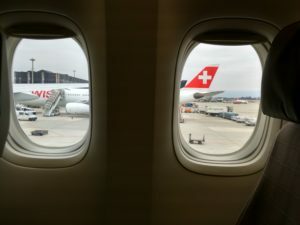 Extra “breathing” and leg room in the back : where the fuselage gets narrower towards the aft of the aircraft, there is often a gap between the seat and the fuselage panel. This is because at some point, the 3 – 3 configurations has to come down to 2 – 2 or similar, depending on the airplane. 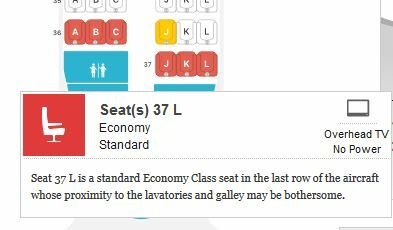 This means not only that you have one less seat mate to go over to get to the toilets, but there are also chances you will have both seats for yourself… plus the added shoulder room. 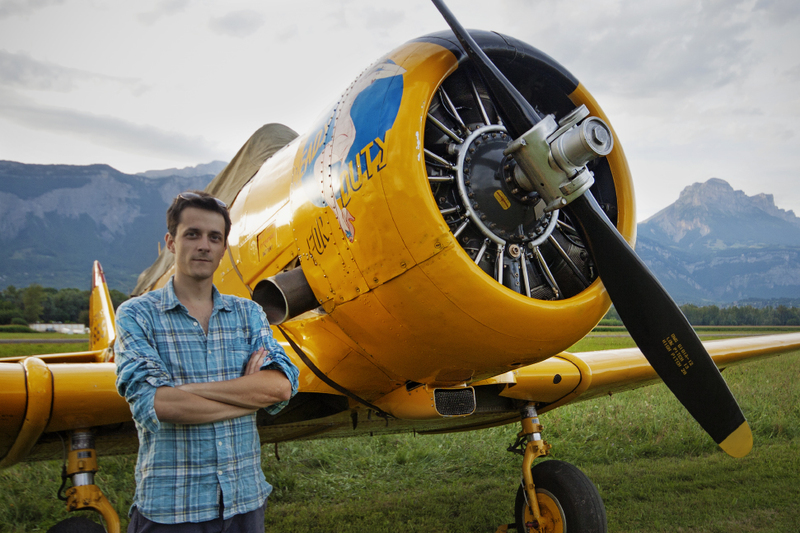 Depending on the aircraft, there can also be additional leg room on the side of the fuselage. One example are the last 2-seat rows on the aft of the 747-8, which I chose for my 10.5h flight back from Johannesburg. The added legroom, and coincidentally empty second seat made the flight very enjoyable. Traveling with a partner : The best seats to choose are seat pairs in the pack of the plane (except the last row which often has limited recline, or a window side triplet on wide-bodies, where there is a chance of having an empty seat for yourselves. 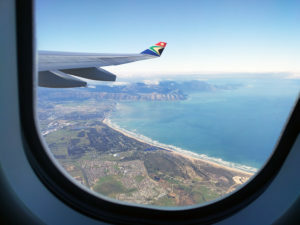 Best window seats : The absolute must when it comes to enjoying the view, while having a view at the marvel of aviation are the seats a few rows in front of the wing. Unfortunately, these seats are often not available in economy on most long haul wide-body aiplanes, as economy usually starts right before of behind the leading edge of the wing. 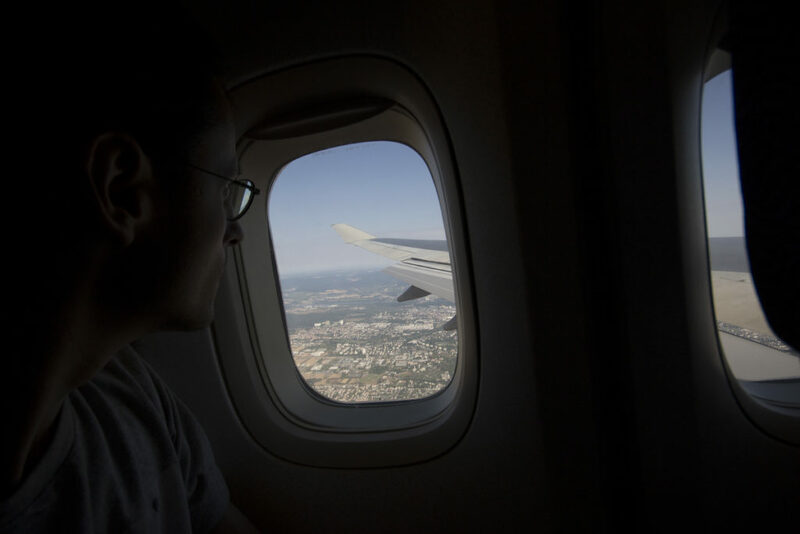 Good window seats are also a few rows behind the wing, so that you get an unobstructed view of the lanscape below, while enjoying the mechanics of the wing working hard at manouvening the plane through the air. Possibly the worst seats on an airplane fall into two categories. Last rows against bulheads, and stink zone seats. As strange as this might seem, some of the seats you are able to book on a plane don’t even have the same ability to recline. Unless you are like Jean Reno’s character in the movie Leno, spending 10+ hours in an upright position in a middle seat will be a very unpleasant experience. Avoid these at all costs! The second category is pretty sefl-explanatory. Not only do seats near the lavatories ten to have an unpleasant smell, they are also a space where people tend to wait and hang out, possibly brush over your shoulder or even spill something on your lap. Avoid these seats! Here is on trick on how to save on seat selection seat. 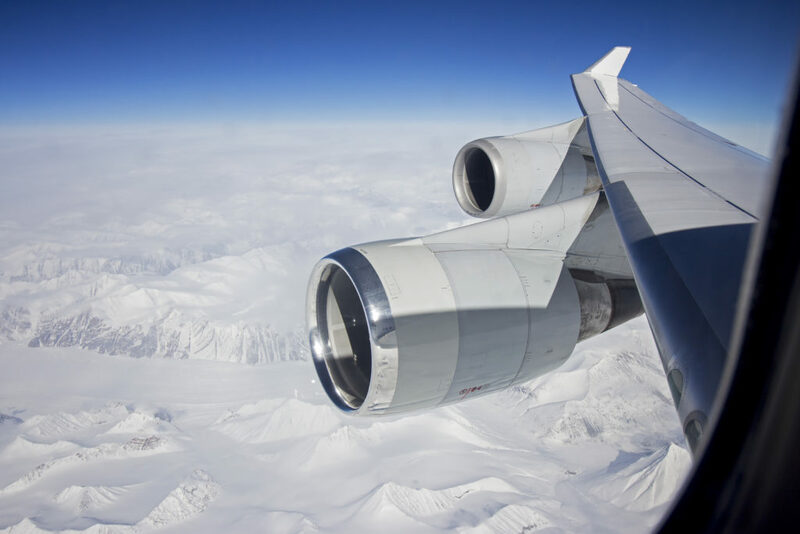 If you are flying on a non-core route at an odd time off season, chances are that the airplane will be less than ¾, or even ½ full. These flights, like red-eyes or morning mid-week flights, are less often chosen by business and leisure passengers. You don’t need to spend an extra to reserve a better seat (or even reserve any seat, as some airlines charge for the mere seat reservation). This has happened to me multiple times, the most extreme being a Kuwait Airways A340-300 flight with about 20 passengers on board, out of 230 total! It is not rare to have 1, 2 or even 3 empty seats next to you. On a long haul flight, this makes a massive difference, as you can stretch easier, or even lay down over multiple seats! Also, on long haul flights, the better seats get reserved pretty fast, sometimes many months in advance, especially on airlines that don’t make a price distinction between seats during booking. When a large widebody like a 747 takes off, as the wheels are about to leave the ground during rotation, the passengers in the last rows get as close as 3-4m to the ground. 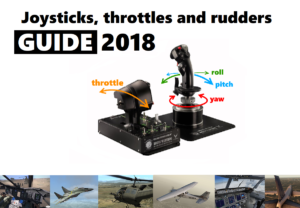 Their travel mates in the nose of the aircraft are already some 20m above ground! As the airplane is still moving horizontally but the tail gets in the path of the vortices created by the wings, and the landing gear doors and wheels are vibrating after liftoff, this can result in noticeable vibrations (perfectly normal) over the the aft of the wing. 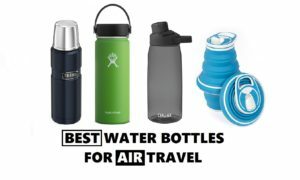 This can be augmented by the shifting of hard luggage in the overhead bins, and the slight movement of the overhead bins themselves as well as other parts in the galleys and cargo hold. Also, flight attendant and pilot testimony seem to confirm the popular belief that turbulence tend to be felt less strongly over the wings and towards the forward part of the cabin. In case you are feeling sick, or a bit uneasy, it is best to pick an aisle seat, as this will allow you to use the restrooms. It can get very tiresome to end up in a middle seat and having to ask your seatmates every other hour just to get to the toilets or stretch. 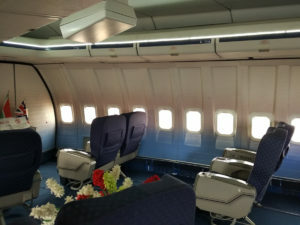 It can also help to be close to the galleys, and have the benefit of extra leg room of a bulkhead, like in the example below, in order to have flight attendants nearby, to ask for a tea or tissue. Many airlines, like Air Canada or Lufthansa, to name a few, open online check-in anywhere from a week to 24h before the flight. This is an opportunity to get first dibs on the best still available seats that people haven’t reserved for a fee. I usually set an alarm before the flight at the exact time the check-in opens, and go straight to the seats I have looked up beforehand. Most of the time, I can get my preferred seat (I go for window on short haul, and before the wing or aft 2-seat rows), or 2-3 seat row aisle if I feel a bit tired and like I will want to move around. I hope you will score a comfy seat for your next flight! If you have any spicy seat-finding tips, leave a comment below!